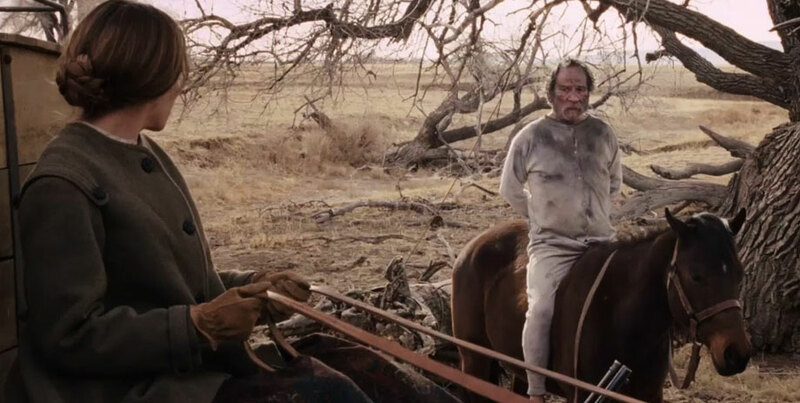 It takes a long time to happen and doesn’t last long enough but there are passages in The Homesman when Tommy Lee Jones’ taciturn, acerbic old-man-of-the-West George Briggs and Hilary Swank’s god-fearing spinster Mary Bee Cuddy work in tandem against forces of Man and Nature. Those scenes are magical, even as they evoke Kate Hepburn and Humphrey Bogart in The African Queen and John Wayne and Kim Darby in the original True Grit. You wish in vain for more of that classic sparring between the puritan forces of civilization and the swaggering crudities of adventurers as a film with great promise peters out into a tragic tale of the Old West gone wrong. The premise of The Homesman may be the bleakest ever envisioned for a Western (and that’s saying a mouthful, pardner). Over a long, cruel winter, three frontierswomen have been driven mad—one due to sexual abuse, another after her three children died of diphtheria while the third found the harsh conditions so agonizing that she ended up killing her own child. The local preacher decides that someone will have to bring them back east to civilization—and when no man volunteers to do it, the plainspoken and plain-faced Mary Bee offers to do it. With the three women, now mute with grief, locked up in a wood wagon, Mary Bee heads off to Iowa. Soon, she encounters a claim jumper, George Briggs, who is sitting on a horse about to be lynched. Mary Bee strikes a bargain with him: for his life saved, he’ll bring the women to a civilized place with her. For a while, the film then lurches into life as Mary Bee and George deal with Indians and scalawags. But too soon that ends and the film concludes with several despairing scenes of frustration and violence. Tommy Lee Jones and Hilary Swank are excellent in The Homesman and the pro-feminist anti-Western take on the American Dream is devastating. But the film may be too tough for its own good. 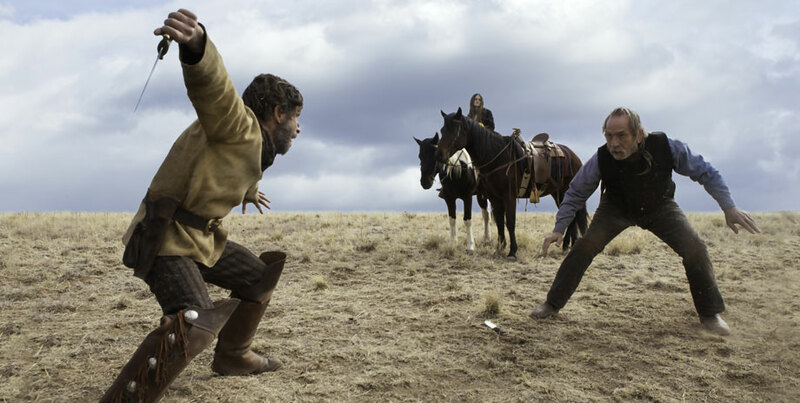 It’s hard to recommend The Homesman to anyone but the hardiest of cinephiles.